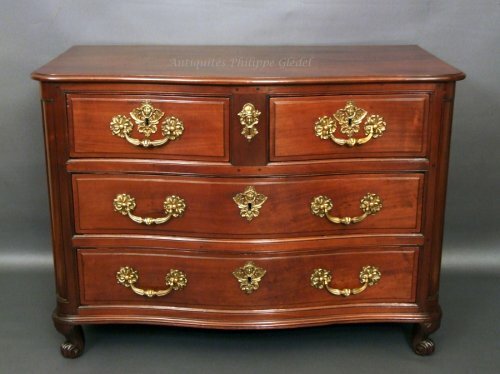 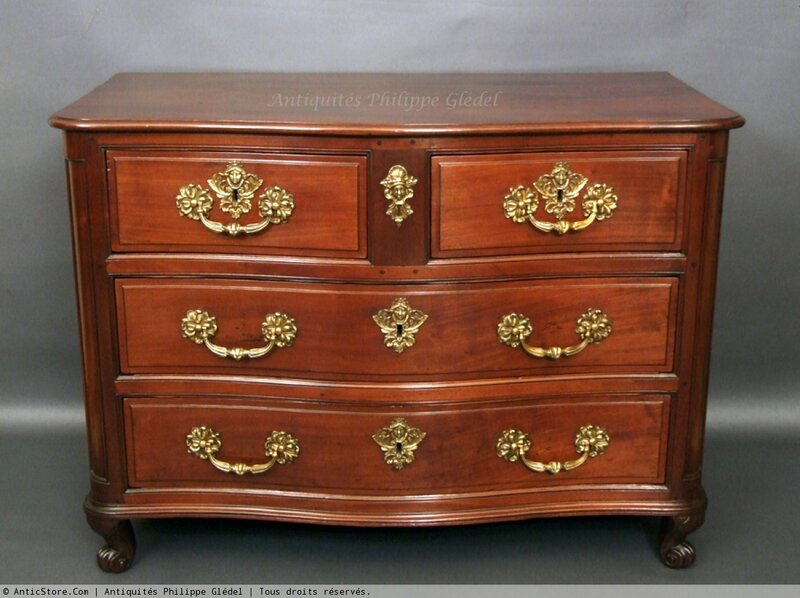 If all mahogany commodes "en tombeau" are not bordelaises, it is not as commodes " tombeau" in Bordeaux, the first commodes of the French Regence period were more soberly curved. 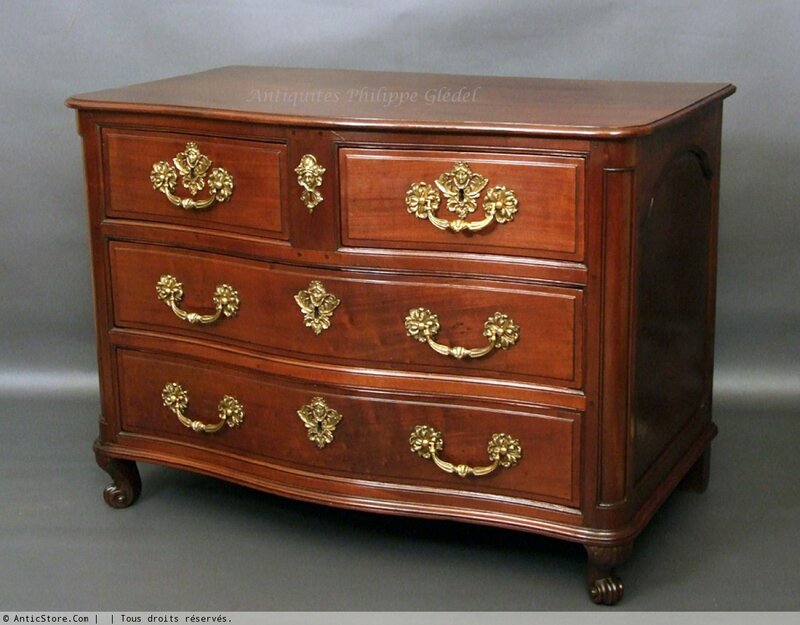 Another feature of this commode is to be a rare model plinth in beak of corbin or scotia (technical term exact), covering the base of the front and sides. 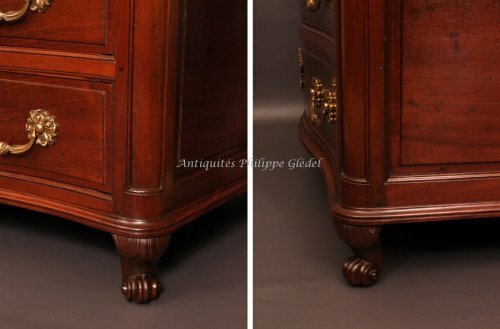 It is also found on some commodes "en tombeau" in Bordeaux and to La Rochelle and Bordelais give them the name of "pieds à bourrelets (foot pads)". 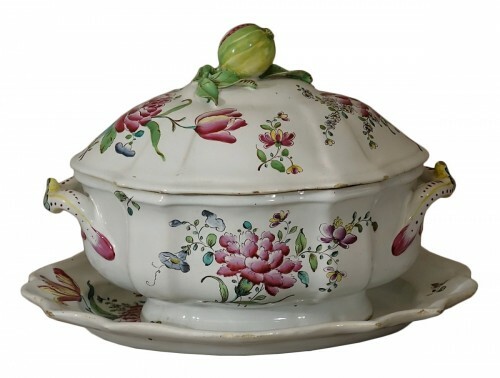 This specimen rather unusual is sometimes found in the beautiful houses of Blaye and in the Médoc up to La Rochelle, and even some scribans adopt this base plinth. 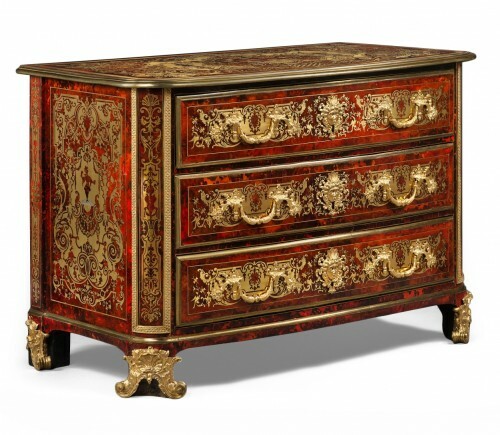 But it is also an unusual size that this chest of drawers stands out, as indeed its width is exactly between that of a small commode and that of a classical model, and we see very few in this format. This chest of drawers type beginning of the Regency, keeping memories of Louis XIV, is highly architectured by a set of flowerbeds and scotia moldings framing of drawers, moldings and rounded digging large amounts. 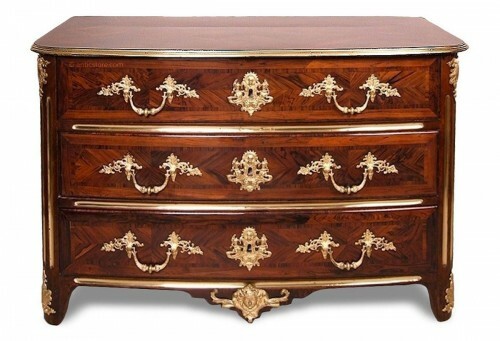 It is also worth noting the very high quality that characterizes this piece, in this case by the use of beautiful mahogany used in large sections. 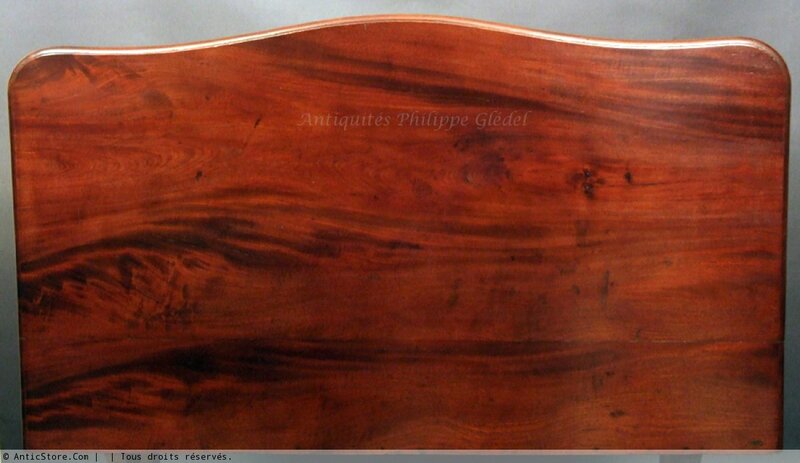 Thus the plateau, two boards, one of which was 47 cm wide, has a beautiful flamed Cuban mahogany. Finally, note the beautiful volute feet carved palmettes. 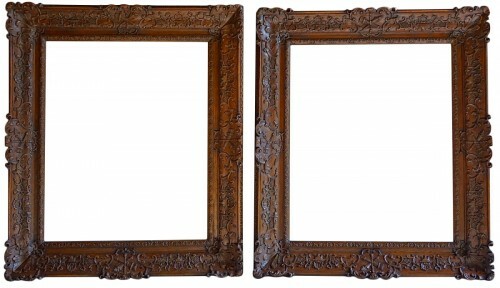 The beautiful bronze ornamentation decorated with rosettes and especially masks (recalling the many models adorning facades and fountains of the city of Bordeaux, which the city said the three thousand masks) finishes give all its brilliance.